Home » News » Lusida Rubber: Safe and secured rubber products! The process of rubber recycling is growing at a steady pace for the past few years. One of the key factors behind production of rubber components is that it safeguards our Mother Nature. The recycled rubber is often used as a substitute for the natural rubber. It is very cheap and reliable when compared to the latter one. Therefore, the customers can rely upon the above-mentioned company to procure top quality recycled rubber products. Today most of the establishments’ right from fitness centers to dental clinics prefers rubber flooring. One of the major reasons behind application of rubber flooring is that it ensures longevity. The life span of rubber flooring is very high when compared to standard rubber. Even at homes, you will find that there will be no signs of scratches or accumulation of dirt on a rubber flooring. They are absolutely free from wear and tear. The recycled rubber is undoubtedly one of the preferred options by people around the world since it would last for a longer period of time. It guarantees safety especially for senior citizens who lack mobility. It safeguards them from falling off the ground. They are actually manufactured out from the extracts of auto tires. Majority of tile manufacturing companies harness this technology to produce rubber rolls as well as tiles. It does play a pivotal role in conserving the environment. 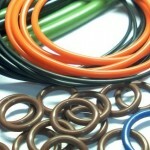 The customers may rely upon the Lusida Rubber to procure rubber and plastic components.